Katajanokanpuisto surrounds the Uspenski Cathedral right in the heart of the city. 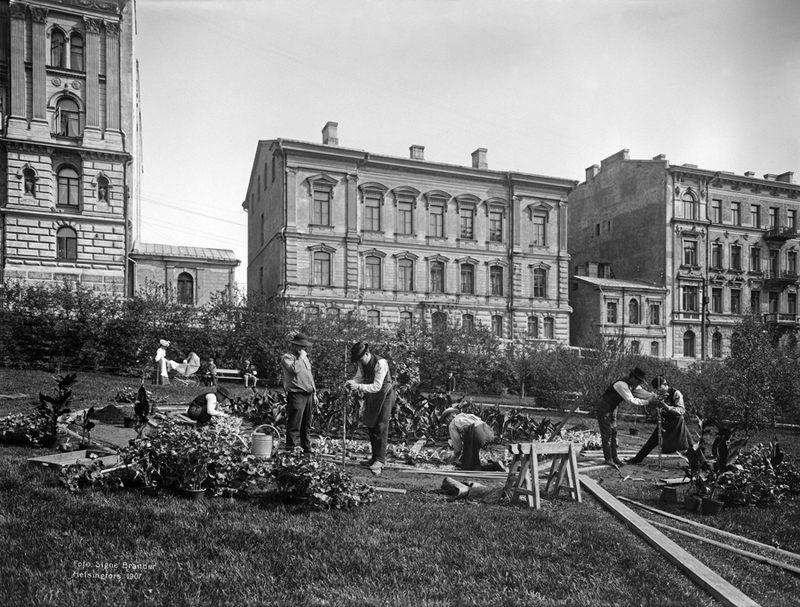 The park was completed according to a design by Svante Olsson in 1900. 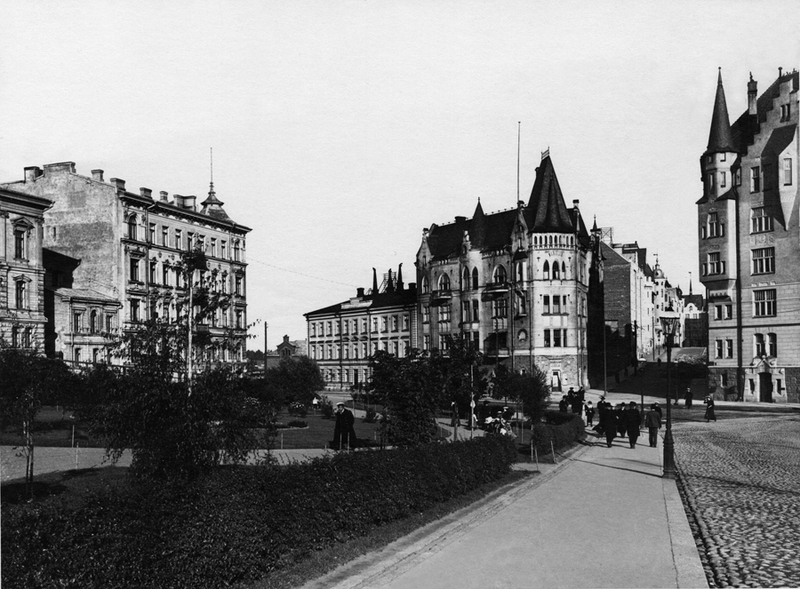 Until 1977, Luotsikatu with its tram line passed through the three-sided park. The basic forms of the park remain as designed by Olsson, including the elliptical central planting and curving paths. The playground in the southern part was converted into a dog area in the 1980s. Katajanokanpuisto has many classic Helsinki traits: its selection of trees and plants, the park furniture and the old kiosk. 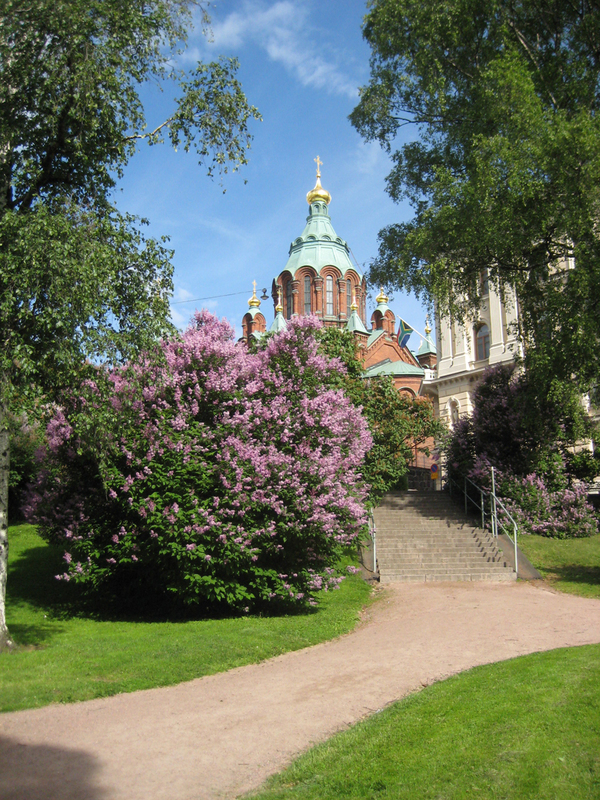 It retains many plant species typical of Helsinki's older parks, such as maples (Acer), lilacs (Syringa) and hybrid common lilacs (Syringa vulgaris) (including 'Michel Buchner'). The tree species are birch (Betula), lime (Tilia) and Norway maple (Acer platanoides).